If there is one thing that stands out in Bloodspell, it is the character development, and level of change in the characters and their relationships with one another. Though much of the novel focuses on Christian and Victoria and their FORBIDDEN romance, it also includes layered subplots that really have more to do with the history of the characters, the characters being witches and vampires, and the struggle with the powers within them as well as those who would seek to harm them because of what they are. The secondary characters in this novel don’t get as much page time as I would have liked, specifically Leto, Victoria’s familiar (yeah, he’s a cat so obviously, I love him), and some “friends” that play very integral parts in the overall story, but don’t have much detail provided to their characterization throughout the novel. In terms of plot, Bloodspell isn’t extremely intricate. In fact, it follows some familiar tropes that readers might roll their eyes at. There is the familiar forbidden love, (teeny) love triangle issues, and there is even a vampire council of sorts who rule over all vampire matters, specifically the law that states witches and vampires can (NEVERRRR!!) unite in any sort of…union. When it is spelled out like that, this book seems like all the rest, it seems like a slightly altered version of twilight, something that can easily be moved aside for more unique novels, however, things aren’t exactly as they seem in Bloodspell. Ms. Howard goes beyond the typical tropes and adds vast layers of self discovery, intricately dark forces, and unbeatable relationships of multiple kinds. Speaking of relationships, I’m not going to lie to you guys, one of the biggest reasons that I enjoyed this book was because of the swoons. There are a lot of them. Good ones. Ms. Howard has a knack for writing those kissy scenes, lemme tell ya. Though the relationship between Victoria and Christian is a driving force throughout the novel, there are also stellar friendships and some very moving familial relationships that sort of broke my heart a little. To be honest, I was surprised at how much I enjoyed Bloodspell. While reading, there were moments that I was worried that it was falling into a very typical paranormal romance, and as it concluded I was happy to see that that was not the case at all. I was surprised by parts at the conclusion of the novel, and extremely happy to see that the author left many things open without tying things up too neatly. As a reader I felt that things were conclusive enough that I was happy where it left off, but also intrigued to see where things can go if and when the author continues on with the series. 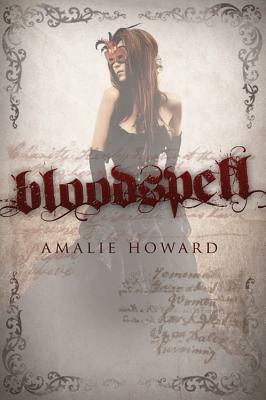 Bloodspell held its own in a very overdone genre, I highly recommend it to those of you who enjoy paranormal romances, but are getting sick of reading the same tropes again and again. This entry was posted in Reviews, Young-Adult and tagged fantasy, magic, paranormal, romance, supernatural, vampires, witches, young adult. Bookmark the permalink. ← Literary Lushes is LIVE! Oh good!!! I’m so glad you ended up really liking this one in the long run. I know you were scared for a while that it would fall in the Twilight trap and not stand on its own so I’m glad it was unique! I LOVE friendships in books and I feel like that adds such a special layer in the books that I read. It’s always nice to see some strong friendships and family relationships too! Do you think I’d enjoy this one? 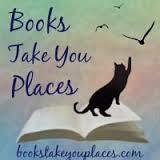 I’m kind of craving some paranormal romance… I really need a good vampire/witch/paranormal being-story right now!